Been having random cravings for beef stew ever since I had it at Molly Malone’s Irish Bar about a month back. 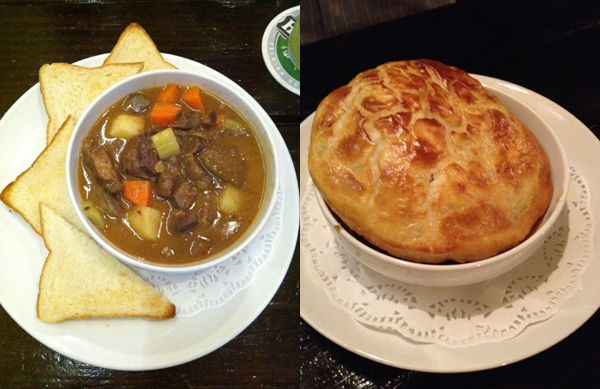 Both the Irish Stew (left) and Beef & Guinness Pie (right) were great, and I want to try more! 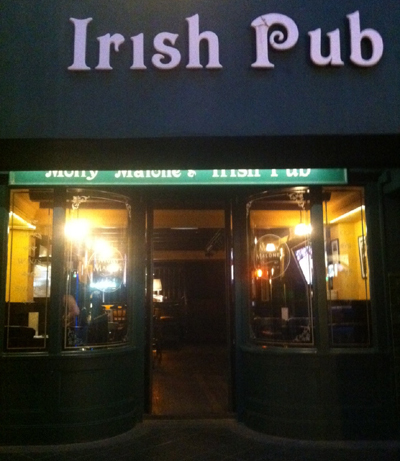 I shall not digress..
Molly Malone’s is generous with their ingredients and the stew is packed with flavour without being overly salty or thick. Dipping the toast in the stew and eating it with the soft stewed beef and carrots is just heavenly. The Beef & Guinness Pie is pretty much the same thing except that it comes with a puff pastry. I wish they serve it as a real pie instead! I seldom drink beer so I can’t comment much on that. However, I would recommend the sinful Crispy Fried Pork with sea salt & mustard ($13) as a bar food. 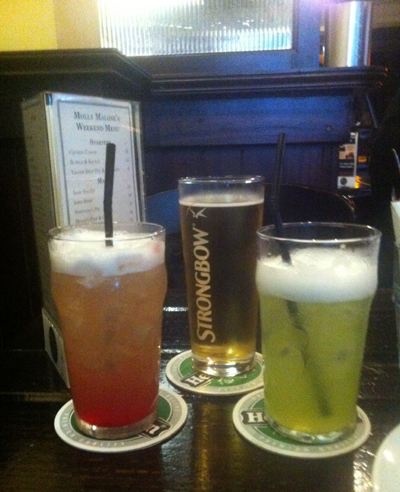 The rest of the mains were pretty decent too. Molly’s Fish & Chips was made from fresh Haddock that’s lightly battered; it was definitely one of the better fish & chips I have tried in Singapore. 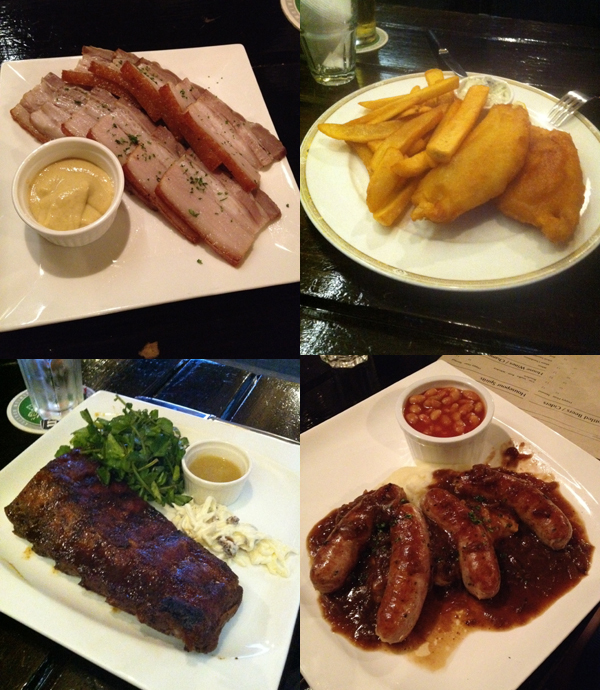 The Honey Glazed Baby Pork Ribs and Bangers & Mash were alright. It was a pity that the meat from the pork ribs did not fall off the bone easily, and we felt that there was something missing from the mash potato for the Bangers & Mash. This entry was posted in Food, Fun, Weekend belly treats and tagged beef, food, irish, photography, singapore, stew, yummy by lifestartsonfriday. Bookmark the permalink.